Action Care Mobile Veterinary Clinic LLC serves St. Mary's County and Southern Maryland. 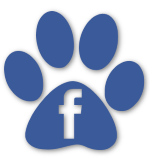 Mobile vet, mobile vet clinic, pet mobile, pet mobile vet, mobile vet services, mobile vet hospital, mobile vets, mobile veterinarian, mobile vet care, mobile pet clinic, mobile vet service, mobile veterinary care, mobile veterinary service, pet ambulance. Action Care Mobile Veterinary Clinic has re-opened! Our new hours will be 9:00 – 6:00, Thursday – Saturday.